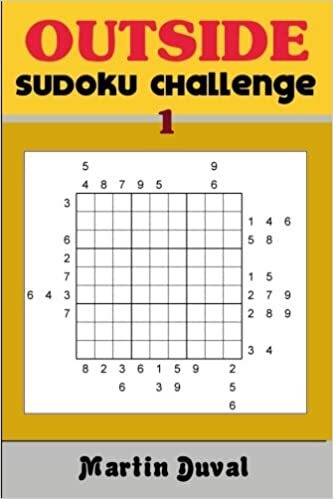 The difference of Sudoku X from the classic Sudoku is that the Sudoku X has an additional constraint : the number from 1 to 9 must appear once in each diagonal (grey cells). I present you two instances of this puzzle: one with a regular Sidoku and the other with a Super Sudoku 16X16. For the latest puzzle, I want to remind you that you could find a lot of these puzzles (an also more different 16x16 variants) in my book Super Sudoku Variations. This definitely the best book about Super Sudoku variants.